Dr. Özden Bademci, clinical psychologist (PhD. ), had received her Bachelor of Science degree in psychology from Ege University in 1996. She then completed a 4-year comprehensive master’s degree program, in Tavistock Clinic which was one of the few clinics in the psychology field between 1998 and 2002, called “Psychoanalytic Observational Studies” co-organized with University of East London, and by completing this program she had acquired the title of “clinical psychologist”. She continued to do group therapies in the same clinic for following 2 years. In 2010, she had received her PhD from University of Kent in United Kingdom. In her doctoral dissertation, she addressed the service given to people who need protection (at-risk group) from the perspective of service providers. After she had returned to Turkey, she practiced as a clinical psychologist in Yeditepe University Hospital. Since 2009, she has been working as an Assistant Professor in the Psychology Department of Maltepe University. She has founded the “Application and Research Center for Children Living and Working on the Street (SOYAÇ)” in Maltepe University and she has been working as the head of the center since then. 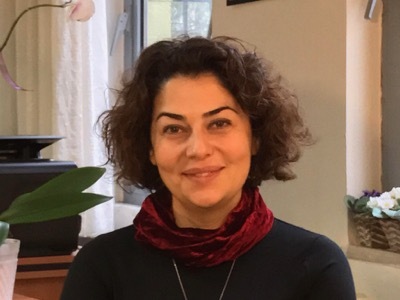 During her academic career, Dr. Özden Bademci has published several national and international articles, book chapters and a book titled “Eating and Sleeping Disorders in infants and children”. She has developed many projects that aim to fulfill psychosocial needs of children/adolescents who are in need of protection/at risk, their families, and stuff who have been working with them. Results of projects she has developed have been published in reputable scientific journals and she has memberships in national and international professional organizations. In 2017, she received the Education UK Alumni 2017 Social Impact Award, which is an award that has been given to professional who graduated from UK-based universities and contributed to social change and improvement people’s lives. Dr. Özden Bademci’s area of expertise is the effects of early childhood experiences on personality and behavior. At Korto, she practices individual therapy sessions with a psychoanalytically oriented systemic approach with adults. Her topics include childhood experiences, developmental trauma, panic attacks, mourning, anxiety, and relationships. Dr. Özden Bademci provides psychotherapy and psychological counseling in English and in Turkish. She provides psychodynamic-oriented group supervision for professionals and teachers who work with disadvantaged / at-risk groups. Completed her studies at Koç and Hacettepe Universities. Completed her studies at METU and University of Oxford. Completed her studies at Koç and Hacettepe University.